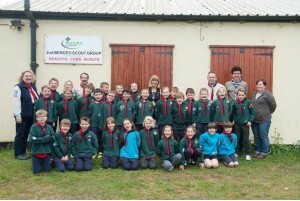 We are delighted to announce that we have now secured the long term future of 2nd Bengeo Scout Group at Watermill Lane. 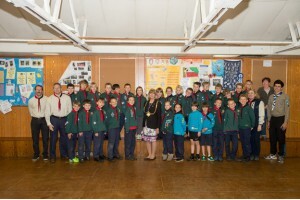 East Herts Council has agreed to lease the land to the Group for 40 years, and it is now with the legal department of the Scout Association for signing off. This will mean that we can make detailed plans on how to best improve the facilities your children use. A key benefit of a long term lease is that we can start fund raising for a major capital investment project either rebuilding the Scout hut, or a comprehensive refurbishment. However, Scouting is entirely volunteer led – none of the leaders, or the young, and less young, helpers get paid – and we therefore need your support, time, energy and commitment, to help raise funds. We need committed supporters/parents/carers to join a small fundraising committee to lead and manage raising money for these capital projects. Without your help, we will not be able to deliver on these great ambitions. Please contact your child’s Scout Leader to put your name forward; if you have direct working knowledge of fund raising or of grant giving bodies, so much the better, but experience is not necessary. We will be talking about this more at the forthcoming Group AGM in early March (details to follow). Lastly, we also need volunteers to come forward to help run our Scouting activities – particularly the Beaver colonies – so, when you next drop your child off please see Jenny or Melanie for information on how you can help.